Car seats have come a long way. In the past, they provided minimal protection and were only used for babies; toddlers and other young children simply used seat belts. Thanks to extensive studies on vehicular injuries and advancements in technology, car seats and booster seats are now mainstays throughout early childhood. Choosing and installing car seats can be confusing, but understanding their basic features and functions will help. The next step is the forward-facing five-point harness option. Children should be kept in these car seats until they're at least 4 years old or 40 pounds. Then, booster seats should be used until children are tall enough to sit unassisted with seat belts safely crossing their shoulders and chests. Parents can choose between high-back and backless booster options. Typically, high-back boosters are used for younger children who don't yet meet the height and weight requirements of a backless booster seat. These size restrictions should be clearly displayed on the packaging of all booster seats. - Convertible: These seats can be installed as both rear-facing and forward-facing to last until the booster stage. - Combination: Equipped with removable harnesses, combination car seats can be used as both forward-facing five-point harness seats and booster seats. - 3-in-1: The most advanced option on the market, these complete car seat solutions last until children are ready to use seatbelts. Each car seat has its own installation requirements, and their instruction manuals provide detailed directions. Car seats and some booster seats are installed using one of two systems, seat belts or lower anchors and tethers for children (LATCH). The LATCH system is available in most vehicles manufactured after September 1, 2002. LATCH systems should not be used when the combined weight of the child and the car seat exceed 65 pounds. For larger children or cars that do not have lower anchors, car seats can be secured by using the seat belt in a locked position. For parents who need assistance installing their car seats or want to make sure they've done it correctly, car seat inspections are available at local government facilities such as police stations, health departments, and fire stations. Learning about car seats and booster seats can simplify the process of choosing the right one for your child. Car seats are safer than they've ever been, but accidents can still happen. If you or your child has been hurt in a car accident, the attorneys at Smith Shanklin Sosa may be able to help. To schedule a free consultation, call us at 225-223-6333 or contact us online. 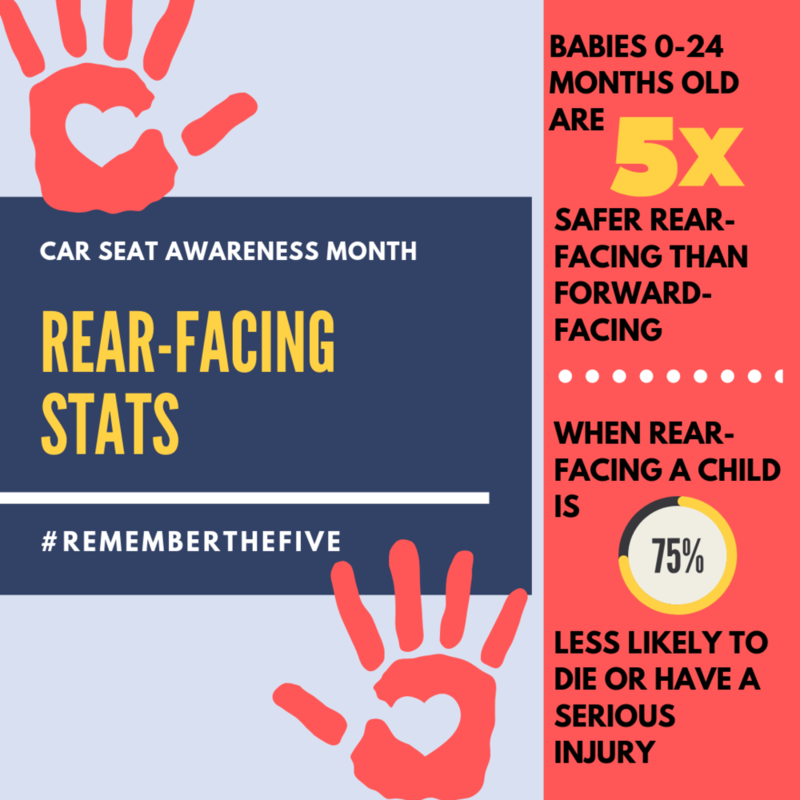 Check out our helpful rear-facing car seat statistic to ensure you are keeping your child safe! 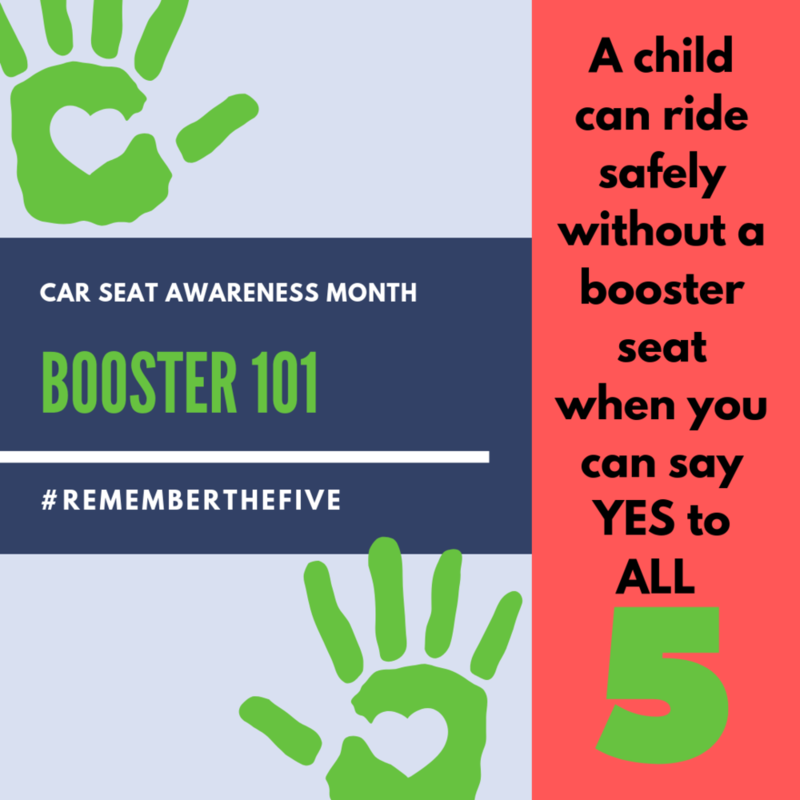 In honor of Car Seat Awareness Month, check out our helpful car & booster seat tips to ensure you are keeping your child safe!